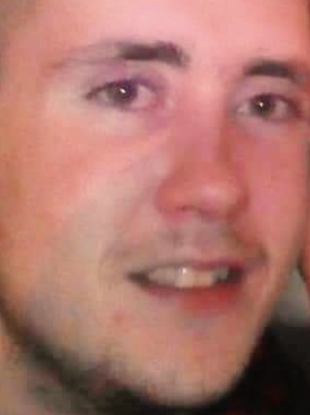 A MURDER INVESTIGATION has been launched after a 23-year-old man died following an assault at a house in Co Derry. The PSNI received a report at around 4.20pm on Thursday that Darren McGurk had sustained a serious head injury following an assault at a house in the Glenbeg Walk area of Limavady the previous evening. Officers believe the assault happened at around 6pm on Wednesday. McGurk was taken to hospital and he subsequently died this morning. On Friday, the PSNI arrested a 32-year-old man in connection with the assault. He was charged with grievous bodily harm and attempting to pervert the course of justice. Following McGurk’s death this morning, the same man was further arrested and charged with murder. He is due to appear before Coleraine Magistrate’s Court tomorrow for the offences of murder and attempting to pervert the course of justice. Detectives from the PSNI’s Major Investigation Team have launched a murder investigation into the incident. The PSNI is now seeking further information into what happened. “First and foremost, I want to offer my heartfelt condolences to Darren’s family and loved ones who are struggling to come to terms with Darren’s untimely death,” Detective Chief Inspector Peter McKenna said. “I want to establish Darren’s movements in the house before the assault on Wednesday night,” he said. Were you in touch with Darren, via text or on the phone? Did you see him that day? Was he with anyone? Were you in the Glenbeg Walk around the time of the assault? Did you hear or see anything that was out of the ordinary? McKenna said he is also keen to speak to anyone who knows McGurk and may have been trying to get in contact with him between 6pm on Wednesday through to 4.20pm on Thursday, including any attempts to contact him by mobile phone or on social media. “I want to establish an accurate picture of what occurred on Wednesday night so Darren’s family know exactly what happened to their loved one,” McKenna said. Anyone with information can call PSNI detectives in Coleraine on 101, quoting reference number 901 of 21/3/19. Alternatively, people can anonymously call UK Crimestoppers on 0800 555 111. Email “Murder investigation launched as man dies after sustaining serious head injury in attack”. Feedback on “Murder investigation launched as man dies after sustaining serious head injury in attack”.